A Chinese New Year greeting card you can make at home with Chinese rubber stamps, ink and gold embossing powder. Just follow the step by step instructions given below to make this red and gold Lunar New Year gatefold greeting card with the happy words and the meaningful Chinese greetings inside this unique handmade greeting card. red color cardstock - 8" x 6"
red color cardstock - 2.5" x 2.5"
Ink scroll pattern rubber stamp with versamark ink. Stamp image on left flap front of card. Pour gold embossing powder on stamped image. Shake off excess powder and brush stray powder with small brush. Melt powder with heat gun to achieve a raised embossed image. Repeat on the right flap. Stamp Chinese greetings inside the card and embossed with gold embossing powder. 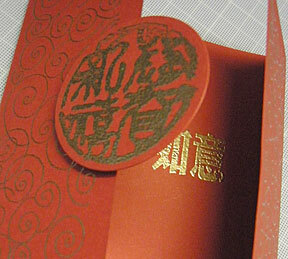 Stamp round chinese new year greetings on scrap red card and gold embossed. Punch with circle punch or trim around stamped image. Viola! A simple red and gold gatefold Chinese new year greeting card. 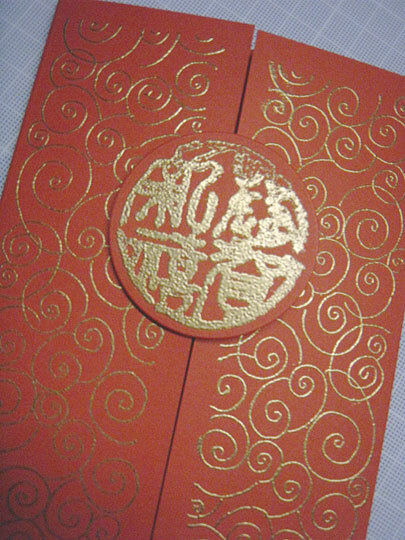 Look at the gold embossed Chinese greetings inside this Lunar New Year greeting card. The gold powder melted so smoothly and I just love the look and feel of the smoothness when I kind of swipe my fingers over the Chinese characters. The meaning of the words is Everything According To Your Wishes (Heart's Desire). I don't remember where I bought this Chinese rubber stamp. It's not a high quality stamp. It's wood mounted but the image when stamped isn't sharp at all. You can see that from the finished card image below. In fact, the top circle around the Chinese characters cannot stamp well and so the gold embossing powder did not adhere to the ink. There's like a gap there but it does gives a vintage look if I am doing a vintage greeting card. I might try that next time. If you have not try heat embossing in your card-making yet, you must get hold of a heat gun, some of your favourite coloured fine embossing powder and get going. 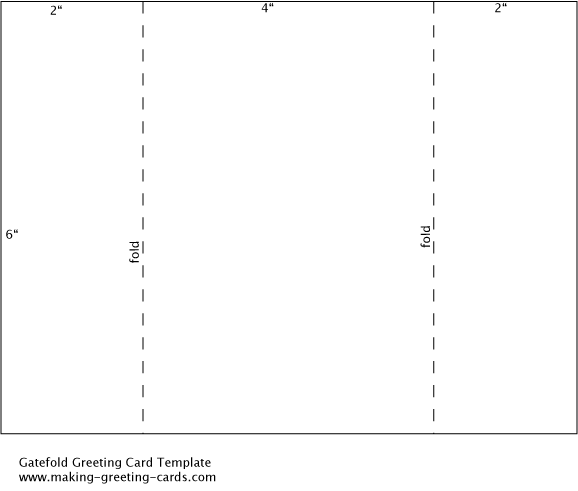 You will love the magic of this wonderful card-making technique. It's a bit messy with fine embossing powder all over your craft table and powder on your fingers but it's worth trying. It's really fun. And...really cool!